This chandelier like lampshade takes my breath away when I first saw it at the show room, never saw any thing quite like it, so simple yet so elegant. 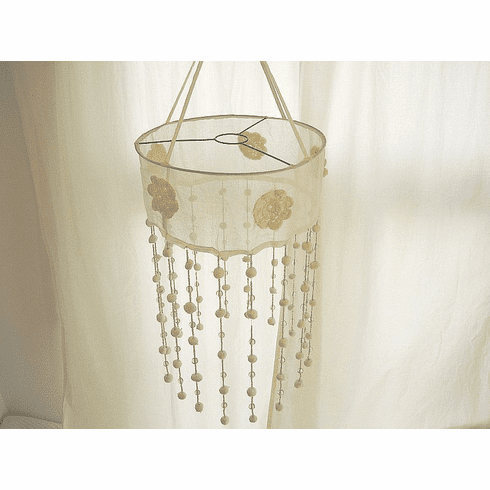 It is made of 100% cotton with embroidery flowers around the shades and little hanging pompoms alternating with clear beads. About 15" in total length.